The workout timer by Cavemantraining is a Tabata timer, circuit timer, HIIT timer, WOD timer, and so much more. The timer comes with pre-programmed timers you can run with the tap of the screen, but you can also easily create your own workout timer anyway you want, there are no limits. Always having trouble with your workout timer, not being able to program it the way you want? Always stuck with just warm-up, workout, and rest? 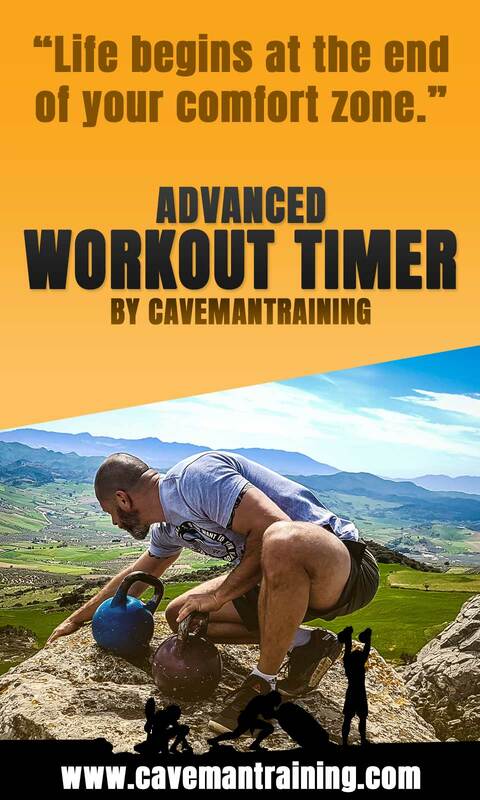 Now all your troubles are no more with the Cavemantraining Workout Timer That’s Flexible And Advanced. Program timers the way you want, nest rounds, add sounds, run AMRAPs, FOR TIME, circuits, Tabata, and much much more with just one timer. Best of all, the basic functionality is free. Install it on your Android phone and try it today. Check out the documentation here, or visit the dedicated workout timer app website for full details before you install it.